As Shakespeare said, we bear a charmed life. With the success of our Lucky collection in 2015, we are excited to introduce a new line, appropriately named "Charmed." 100% Made in the USA, "Charmed" contains six double sided 12x12 papers, custom-milled, matte finish cardstock stickers and cardstock die-cut accents which make this collection approachable and easy to use! 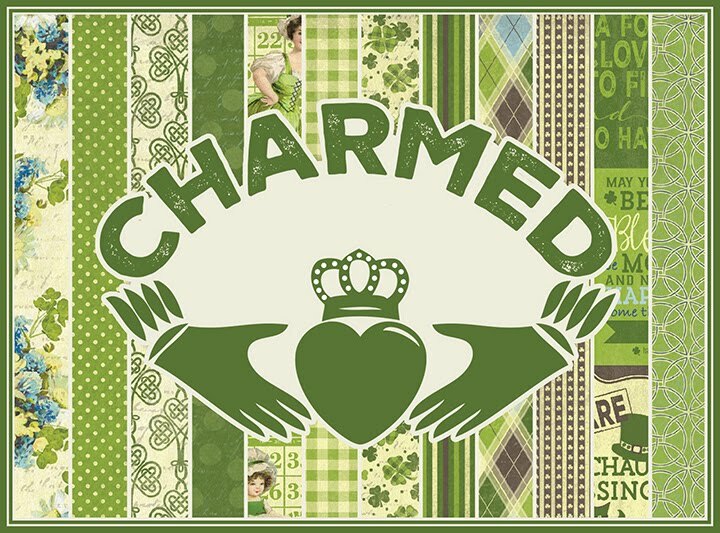 Charmed is available in stores now, so check with your favorite online or local store today! 5x8 overall size cardstock stickers -- adorable gingham pattern! 24 sheets of 6x6 reduced scale designs, double sided! 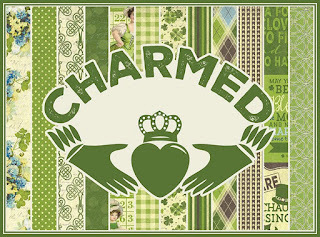 Check back soon for "Charmed" inspiration projects from our design team! LOVE the greens, and the cute patterns. I've never seen anything like it. Old fashioned and fun! Oh wow....love!!! Going to have to have this!! Love to get my greedy lil hands all over this collection...a must have!!! Green is my favorite color and I'm a little Irish so I, of course, love this so much! This collection is seriously stunning! I don't use green very often, but it looks amazing in this collection. Charming! THis is just lovely! Must son always used to try and catch a leprechaun so I totally love this! I love this collection! With the last name of Murphy I can put the Charmed collection to good use! Loving all the green! Great collection!! The absolute best,most perfect St. Patrick collection ever. I swore I was not any new paper this year. I lied. Seeing this made me smile and my mojo start cooking. Thank you! This line is great! I love the patterns and the various shades of green are beautiful. Nice! Charmed by your new collection! Wow, I love this collection!! !